There are different types of fishing kayaks available on the market and all are of different shapes and sizes. Therefore, it is very important to learn how to choose a fishing kayak that is perfect for fishing and kayak enthusiasts. 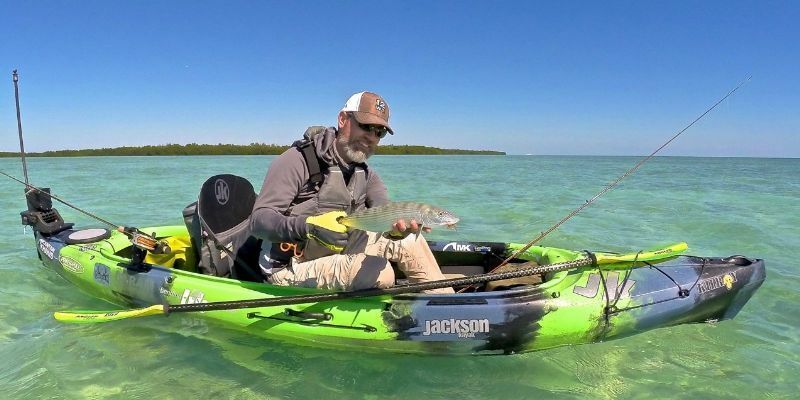 Choosing a fishing kayak should take into many wise considerations because it will not only help us understand certain kayak is only suitable for certain environment but it also keeps us safe in water. 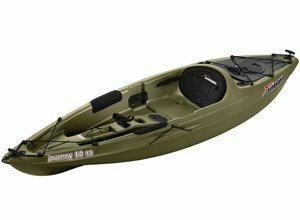 When buying a fishing kayak we need to narrow down our options and decide on how we are going to use the fishing kayak. Are you a fishing enthusiast who loves to spend time on kayak? Are you going to use the fishing kayak for small water bodies such as ponds or lakes? Or are you going to fish in seas which may be exposed to strong winds and waves? What is your requirement of the fishing kayak, the performance, and the stability? Do you require a large storage space? What is the general temperature of the water bodies where you will be using the fishing kayak? Do you prefer solo or tandem fishing kayak? What is your skill level of kayaking? After you have asked yourself all the above-mentioned questions, and you probably have already made up your mind to get yourself a fishing kayak, now it is time to decide between a sit-on-top fishing kayak or sit-inside fishing kayak. For majority, sit-on-top kayaks are much more convenient because it is very ideal for fishing and offers more stability. Not forgetting to mention that, sit-on-top fishing kayaks are easier for you to getting in and out. Besides, there is a self-bailing scupper hole so it makes it very easy to drain the water. The major advantage of sit-on-top fishing kayaks is if your kayak happens to capsize, it will be easier for you to get back in. However, the downside is you will get wet easily with sit-on-top fishing kayaks, with no doubt! While the sit-inside fishing kayaks will be better in handling colder water temperature if you are not keen in getting wet or feel cold. Generally, the sit-inside fishing kayaks are faster than the sit-on-top fishing kayaks. So if you prefer to kayak faster, then this sit-inside fishing kayak is definitely perfect for your preference. However, with the sit-inside fishing kayak, if you happen to capsize, it is going to be tougher to get back in. So learn how to master Eskimo roll will help you rollover without falling out. Or if you still have not mastered the skill yet, you should just stay near to the shore so that you can swim back easily. Always wear a life vest even if you are a good swimmer, you never know how this safety gear can save your life. So, we believe after you have gone through our generous tips, now you should probably get the idea on how to choose a fishing kayak as according to what you need. Regardless of which option you choose, we hope that you are going to enjoy your fishing-kayaking session.